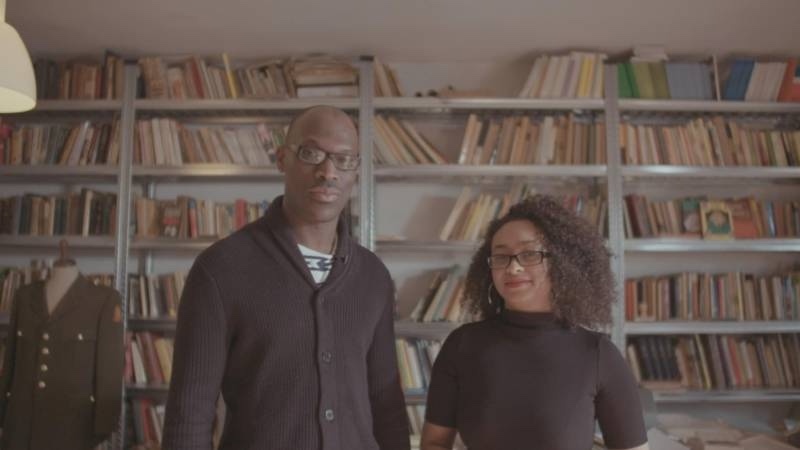 Note: Dutch content ‘The past year we’ve been unpacking books and organizing all the documents – it feels a bit like a treasure trove.’ Together with many volunteers NUC is currently building a black archive in Amsterdam East. A collection of over 5000 books on black history in the Netherlands and abroad. The collection started with the collection of deceased sociologist Waldo Heilbron and has since grown through donations and other ways of support. The collection has antique documents, as well as famous novels, biografies and even comics that show how black people were portrayed in stereotypes even until fairly recently. ‘Things like ethnic profiling are nothing new – you can find comparable situations documented in articles that trace back to 1975’. ‘Our archive is a good example of how parts of our history are still hidden in attics and boxes. This archive is the first of its kind in the Netherlands and it gives people access to the untold stories, which are still relevant today’.